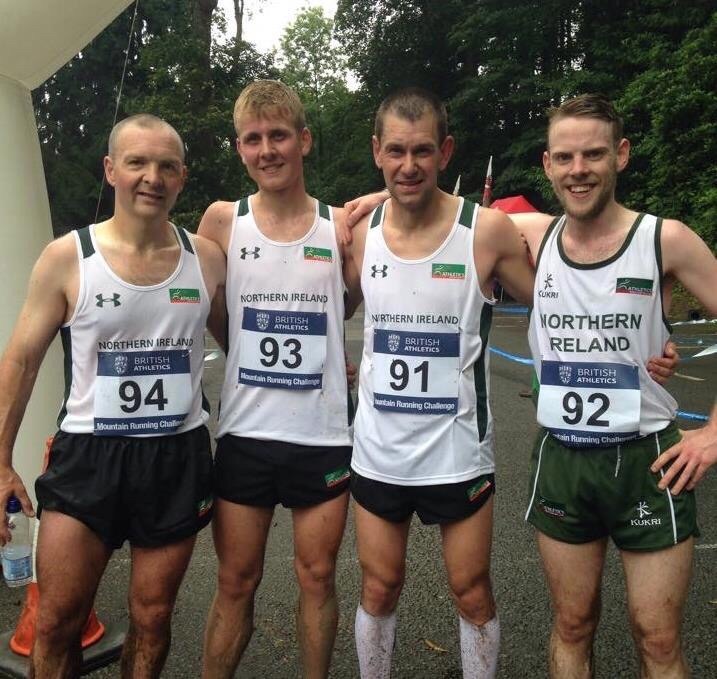 Northern Ireland team travelled to Betws-Y-Coed in Wales for the Senior Home International race on 22nd August 2015. This was also the section race for the World Mountain Running Championship and the race for this will be held in the same village on 19th September 201. On the morning off the race we woke up to awful weather, with heavy showers lasting fifteen minutes or more! The ladies race started at midday with a very fast start on the road. The course then took them onto a steep path for 2k up hill and then 2k downhill with 445 metres of ascent, of which they had x2 laps to do. 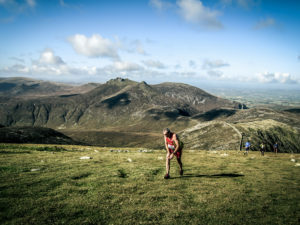 Shileen O’Kane, Mari Troeng, Penny Lindsay and Sam McNeilly all started off steady on the road and while making their way up the steep climb for the first time they were all running well and closely packed. Shileen was the first NI runner to descent fast onto the road with a very strong run in 26th place; next was Mari with a very good debut wearing the NI vest in 29th place closely followed by Penny, another debut in the NI vest in 29th and Sam McNeilly finishing strongly in 31st place. The ladies packed very well and were rewarded with a British Championship Bronze medal for all their hard training in the weeks before the race. Sarah Tunstall from Kendal AC won the ladies race. We only had 3 men on Friday night due to injury, so with a few phone calls Brendan Donnelly, who is based in England, was extremely happy to get his first NI vest to make a team of 4 men. Could the men get a medal like the ladies!! After a fast start you would have thought it was a 10K race rather than a hill race! Andrew set off steady and was well in the top half of the field after the first climb. David, Alex and Brendan were all closely packed after the first lap and had all started steady knowing there were 2 more hard climbs and a two fast descents still to go! Andrew got stronger as the race went on and ran very well in a top quality field to finish in 30th place. David ran strongly on the last lap to finish in 40th place closely chased down the last descent by Alex in 42nd and Brendan having a very strong debut in the NI vest finishing in 44th place. Unfortunately the men just missed out on a medal but everyone was more than happy with their runs. 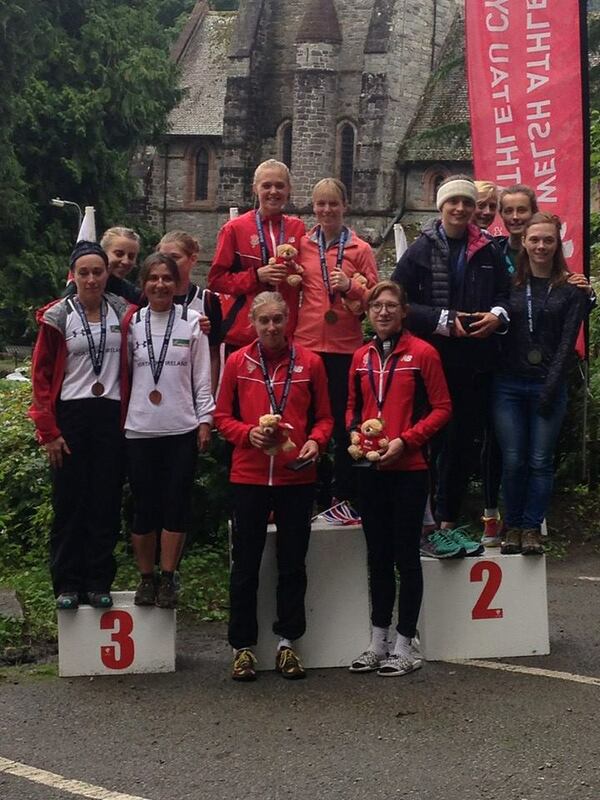 It was now time for a few refreshments in the locals for the weekend where the ladies showed off their medals! Robbie Simpson, Scotland won the men’s race. A good weekend was had by all and we even managed an 8am recovery run around the Master’s course on Sunday morning in Betws-Y-Coed.